Rep. Skip Stam, Rep. Jon Hardister, Rep. Chuck McGrady, Rep. Rick Glazier, and Rep. Grier Martin were joined by a bipartisan group of legislators calling for reform to the way North Carolina draws legislative districts. Currently, the General Assembly draws its own districts. ”The growing perception among citizens is that they cannot have a voice in our system of democracy,” said Martin. Legislation to be introduced by Stam, Hardister, McGrady, and Martin would create an independent commission to draw legislative districts. Read more here: WRAL, News & Observer, WNCN. 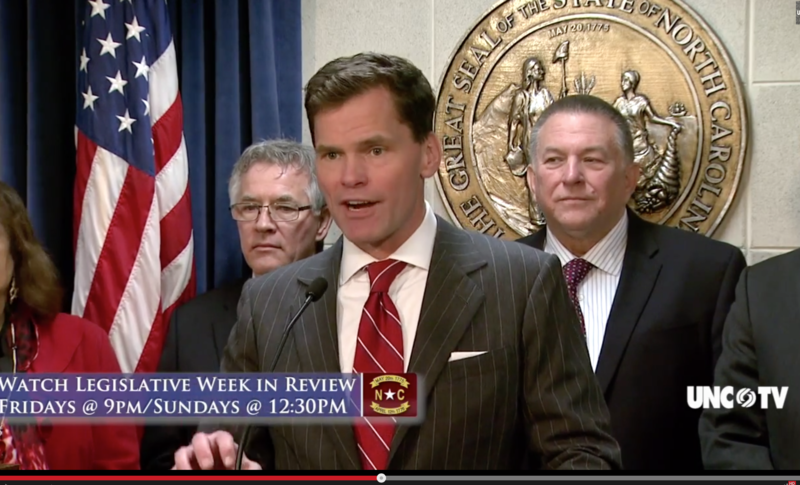 View a video of Rep. Martin’s comments at UNC-TV.